Beer with a Scientist: Is your home a potential pet poison pit? Potentially life-threatening toxins found in many households can seriously harm your furry best friend. Even things humans safely ingest every day can be fatal to pets. 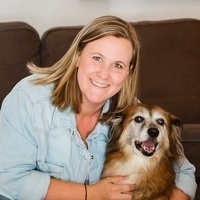 At this week’s Beer with a Scientist, Kate Baker, DVM, MS, a veterinary clinical pathologist with Blue Pearl Specialty and Emergency Veterinary Hospital, will explain.